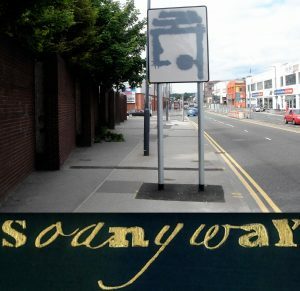 Soanyway is an independent online magazine, providing a platform for work that tells stories using any combination of words, images and sounds. The title ‘soanyway’ is an expression used in daily speech to refocus after digression, or as a means of changing or avoiding a subject. The conclusive ‘so’ merged with the ‘anyway’ of alternation suggests a diversity of possible stories in which interdisciplinary boundaries are crossed. This allows these apparent digressions to flow as multi-layered narrative. We interpret story broadly, considering it in relation to fact and fiction, narration or implication, and structure or a lack of it. We also regard most history, theory and critique as the telling of stories about stories. Soanyway online magazine is inviting submissions for Issue 3, by 30 April 2019, crossing the boundaries of visual, sonic and web-based art, video, poetry, music, literature and art writing, using any combination of words, images and sounds. Please review the magazine description on our homepage. Please submit via email directly to info@soanywaymagazine.org We recommend using WeTransfer for large files.